An Antony Gormley Statue In Kilburn? Who Knew? M@ An Antony Gormley Statue In Kilburn? Who Knew? We thought we'd uncovered every sculpture by Antony Gormley in the capital. We even have it mapped. And then, quite by chance, we stumbled upon another work, and in a part of town we thought we knew well. Such is the joy of London. 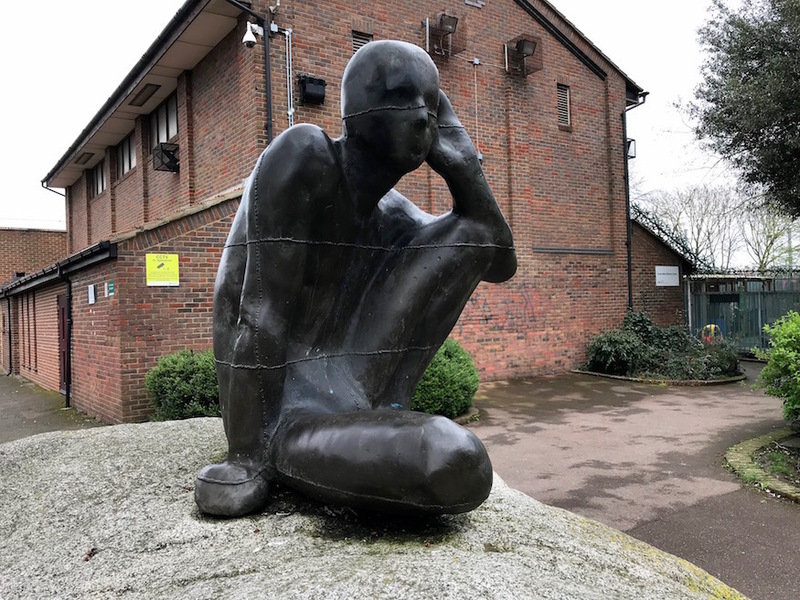 This piece, called Untitled [listening] (1983-4), sits in Maygrove Peace Park, built on former rail sidings mid-way between Kilburn and West Hampstead. The welded bronze figure rests on a glacial granite boulder that is 'part of the old deep history of the planet, and sculpted by time'. The ensemble is an early work from Gormley, and is Grade II listed. How the deuce did we miss it? Maygrove is an attractive little park, filled with symbols of peace. 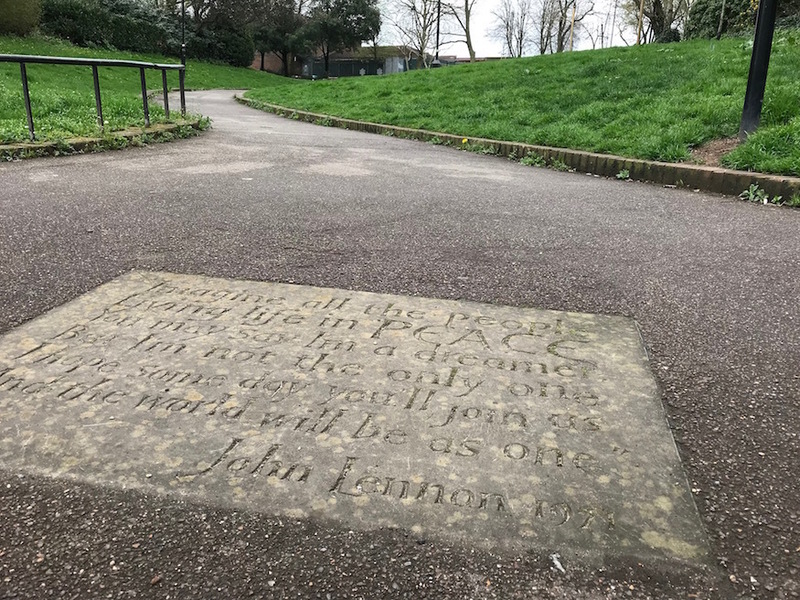 The sinusoidal tarmac is impregnated with quotes about love and understanding, including these famous lines by John Lennon. 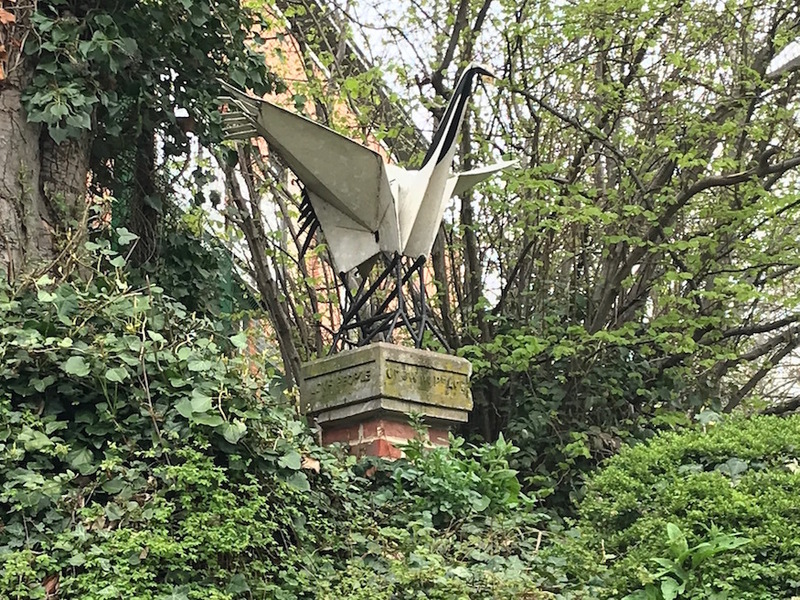 The main entrance to the park is marked by another sculpture, this time a white peace crane. It is inspired by the story of a Japanese girl named Sadako who survived the Nagasaki bomb, only to succumb to illness a few years later. In her dying days, she set out to make 1,000 paper cranes to bring good luck. Alas, she died just before completing the task. Maygrove Peace Park is perhaps not worth making a special trip for, but certainly deserving of a look if you're ever in the area.